We are looking for one or two more volunteers to assist us at our front desk to greet visitors and transfer incoming phone calls. We have shifts available on Mondays, Wednesdays, and Fridays from 1:00-5:00 and also Tuesdays from 2:00-5:00. Great for parents with kids in school, retirees, college students, or people between jobs. Volunteer experience looks great on a resume! No experience is necessary, but the ability to maintain confidentiality is a must. Training is provided. Contact Shauna at 301-663-0909 x140. Take pictures of people we serve in the Frederick community. We'd love to use the photos on our website, publications, or other materials for The Arc. One Saturday per month, we provide 4 hours of respite time for parents and children. This is a great opportunity for teens, college students, and adults to help children with disabilities while having fun in a supervised setting. Organized group hosting activities such as, dance, theatre, or music, are welcome, as well. We encourage people to share their passions with the people we serve. If you have a special skills or hobby, volunteer to teach it to others. Life skills that you share with another, one to one or in a group setting, is appreciated. this opportunity consists of becoming involved in the life of someone we serve on a regular basis. You could go to the movies, shopping, library, or sight seeing. You could even just sit in the park enjoying each other’s company. Throughout the year we host fundraisers such as our Trivia Playoff for our services and programs. Volunteers are always needed to provide assistance. The Arc of Frederick County provides a program for siblings of people with developmental disabilities. They are held one Saturday a month from 10:00 AM – 1:00 PM at The Arc at Market Street. Volunteers are asked to contribute and participate to the various activities that are held during the workshop. We are seeking volunteers for some weekend social events ranging from once a month to more, depending on your availability. Many people we serve rely on public transportation and this is not always available on the weekends or at an affordable cost. For more information and a volunteer application, contact Shauna at The Arc: 301-663-0909 x140. Submit your volunteer application online! * Please be advised that the information you provide on this questionnaire will be shared with families who request information about volunteers in Frederick County. Information from reference and police background checks will also be shared with families and individuals. 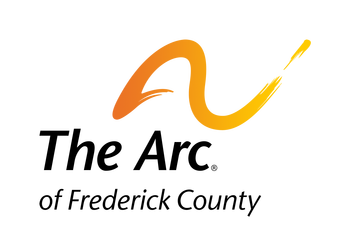 In addition, The Arc waives all responsibility in the event of an accident or injury to any child or adult receiving volunteer care provided by someone who has completed this form. By submitting the application, I fully understand that information that I provide is intended to be shared with families who request information about volunteers in Frederick County. I also understand that The Arc of Frederick County may receive information about me through my references and through police background inquiries. As a part of submitting this application, I hereby authorize The Arc to release any and all information about me to families who request information about volunteers. In the event that I provide volunteer services, I fully understand and acknowledge that The Arc is not responsible for any injury or property damage that arises out of the provision of such services. We will make every effort to respond to you promptly.  If you have not heard from The Arc within three business days, please contact Shauna at 301-663-0909 x140 or SMulcahy@arcfc.org to confirm that we have received your application.